Is a device that serves to divide, distribute and distribute electric power from the source / center consumer / user. In general, synchron panel function is the merger of two or more power sources to obtain a more bear source. 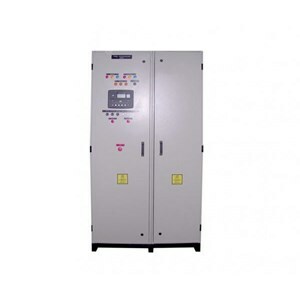 Panel & Electrical Material can be done between genset with generator, generator with PLN or synchroun on medium voltage. When two or more generator sets operate simultaneously, to supply the electrical system the genset must be synchronized manually or automatically so that it has the same phase, voltage and frequency. - Power usage can be adjusted. PT. Star Delta Triputri provides, supplies and designs panel boxes, electrical panels for non commercial, commercial and industrial buildings.